We know one thing for certain, goodbyes are tough. It’s been fun, hot, and wild and we couldn’t have asked for anything better, but the time is now -- the time to say farewell to summer. Labor Day weekend marks the last time for soaking up the sun, sipping on cold brews, and barbecuing with close family and friends. 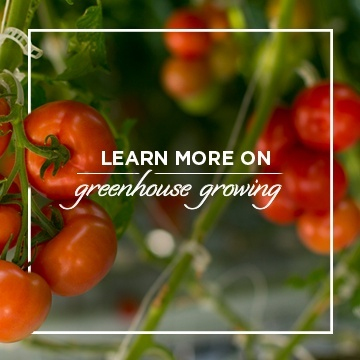 Here to help make that transition easier is Celebrity Chef, and SUNSET® Culinary Director Roger Mooking. To keep your Labor Day weekend get-together fresh and cool, we’re serving up our Chef Inspired Roger Mooking creation: Kumato® Tuna Salad. 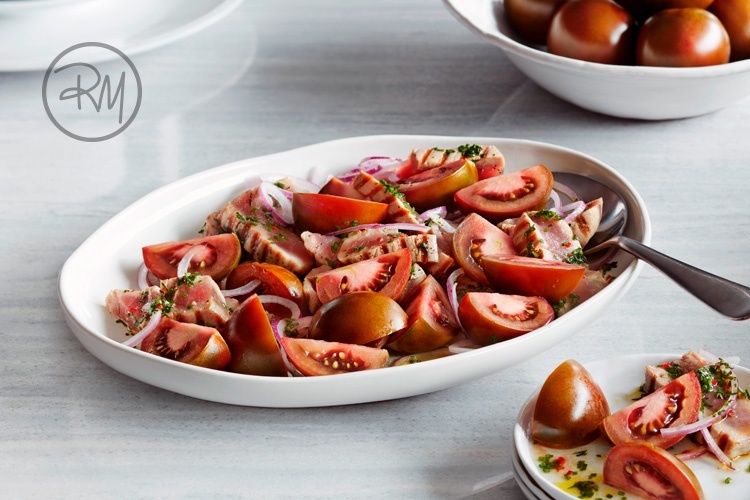 Robust Kumato® tomatoes and seared Ahi tuna come together to create this simple but flavorful salad. Topped off with red onion, and red Thai chili dressing this dish is easy in its execution, and unique in its presentation. Watch the step by step video below to get this dish just right. 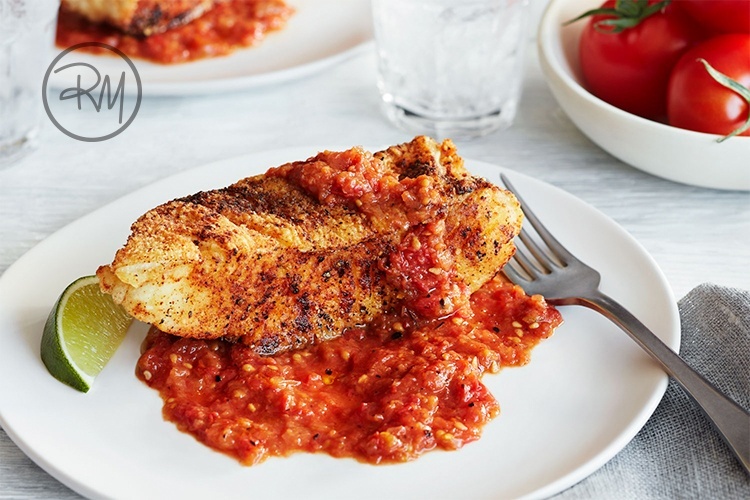 Much like summer itself, our Spicy Campari® Fried Halibut is packed with heat and spice. Featuring fiery green, and red Thai chilies the Spicy Campari® Sauce pairs delightfully with perfectly fried halibut. 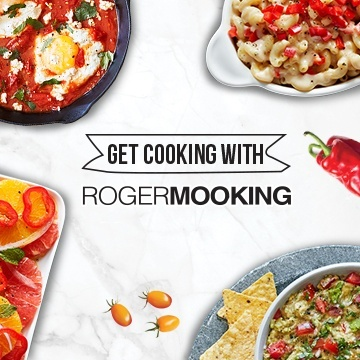 We guarantee you’ll surprise veteran heat lovers with this Roger Mooking original! 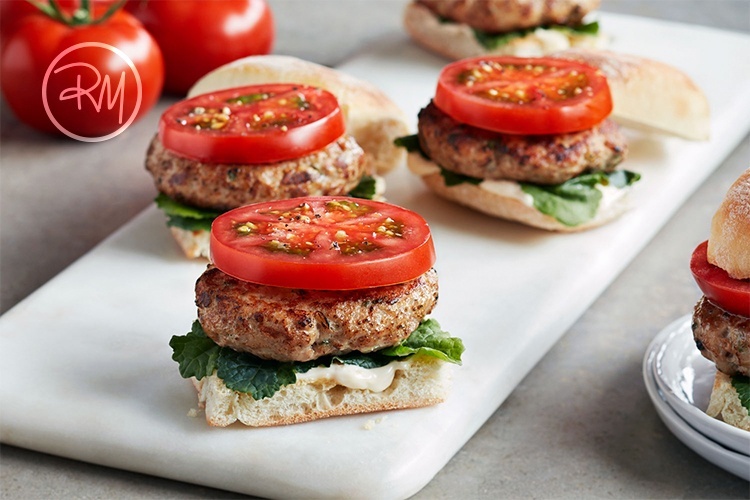 For guests with a milder palate, we recommend our Tomato of Yore™ Turkey Sliders. These little guys will add that classic Labor Day Weekend Party feel to any get-together. The full-flavor taste of Tomato of Yore™ combined with seasoned, grilled to perfection turkey patties will leave guests craving more. There you have it! The perfect Labor Day Weekend, Roger Mooking approved Recipe Roundup to say goodbye to summer, and hello to flavor!